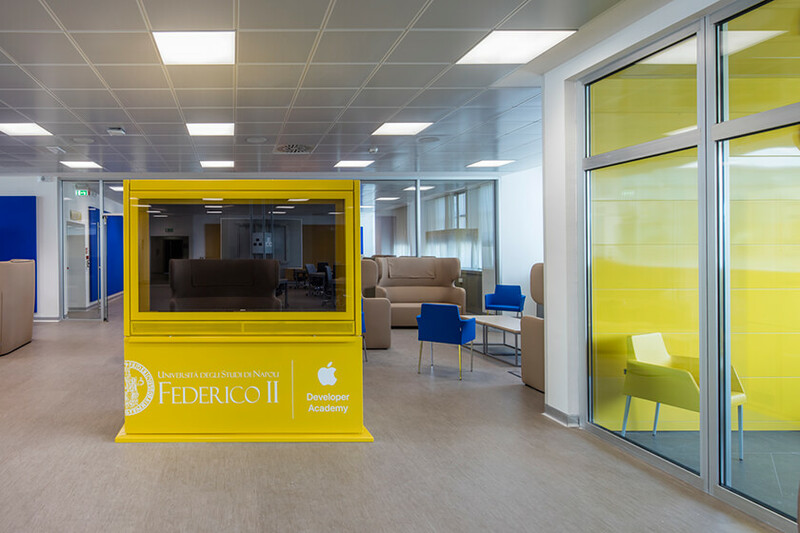 Federico II University in Naples houses the first iOS Developer Academy in Europe, thanks to the new partnership with Apple Inc.
An innovation cluster able to attract young people and companies, the course designed and supported by Apple at Standard and Master levels, takes place into the new campus dedicated structure in San Giovanni a Teduccio, which includes many laboratories and the access to the most updated Apple hardwares and softwares. 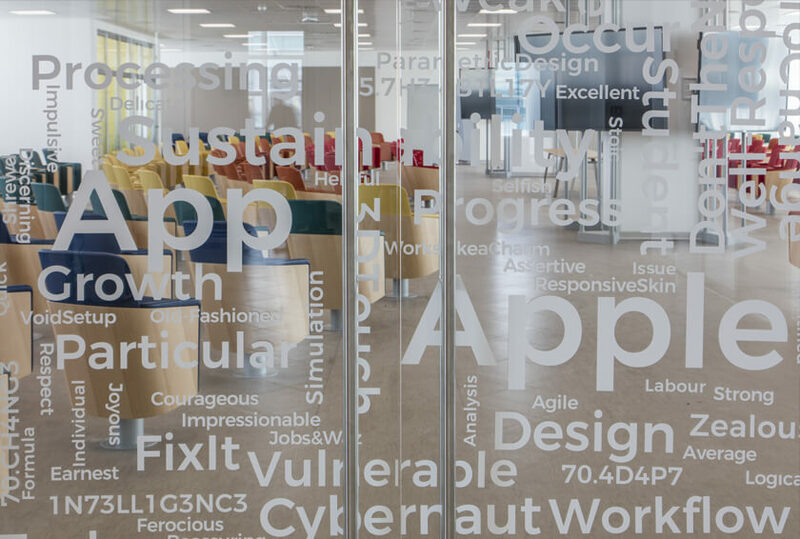 At the third floor of L1-L2 modules where renovation and upgrading works have recently been carried out to create large open spaces for classrooms, laboratories, working areas and offices. 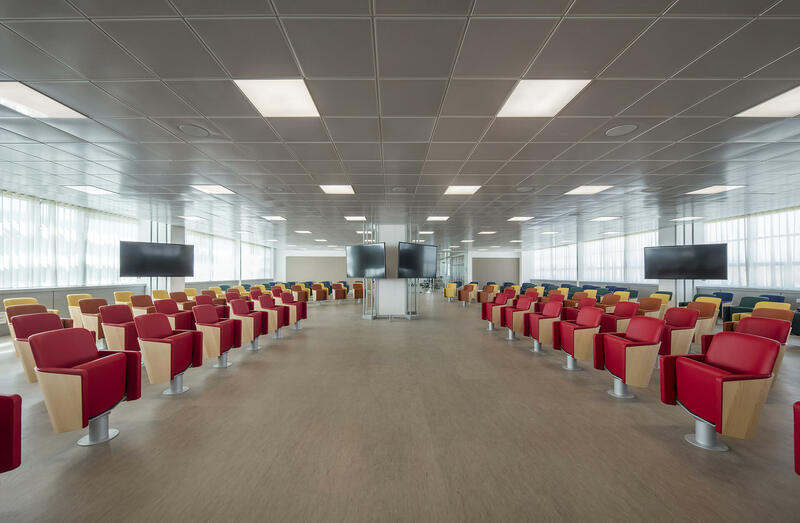 More specifically, the project has required modifications to the room layout and to the electric, ICT, thermomechanical, fire-fighting systems etc. necessary for the conversion of the whole floor. 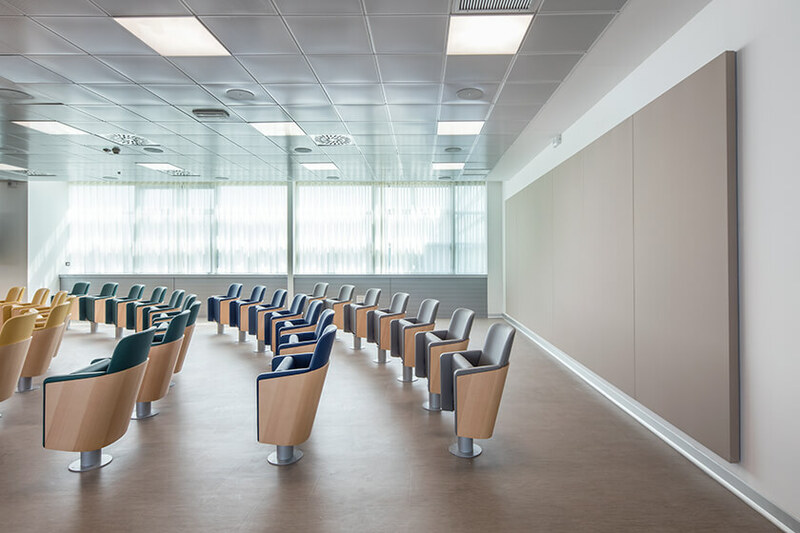 After the supply of more than 400 L213 armchairs for the centre great hall, the partnership between LAMM and iOS Developer Academy continues with the installation of 200 Custom Armchairs in a double semicircle conference hall. 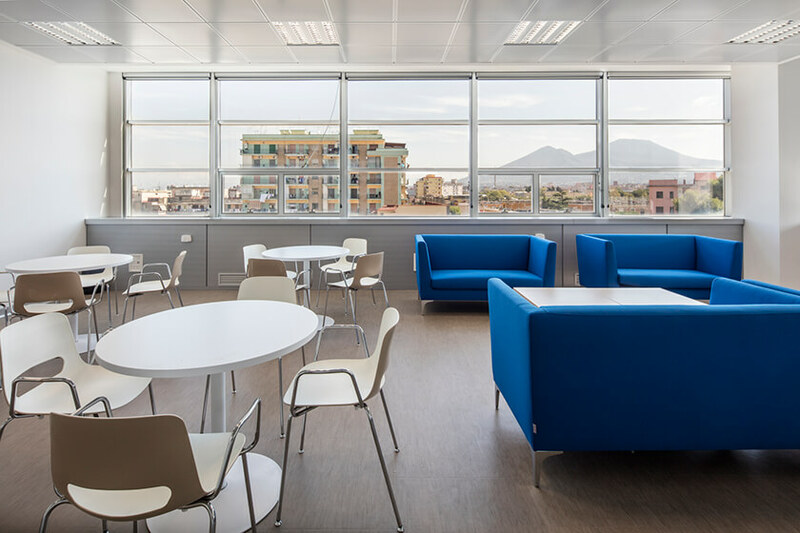 Specially conceived for this installation, the armchair entirely meets practical, aesthetic and ergonomic needs of the customers, thanks to some structural innovative solutions. 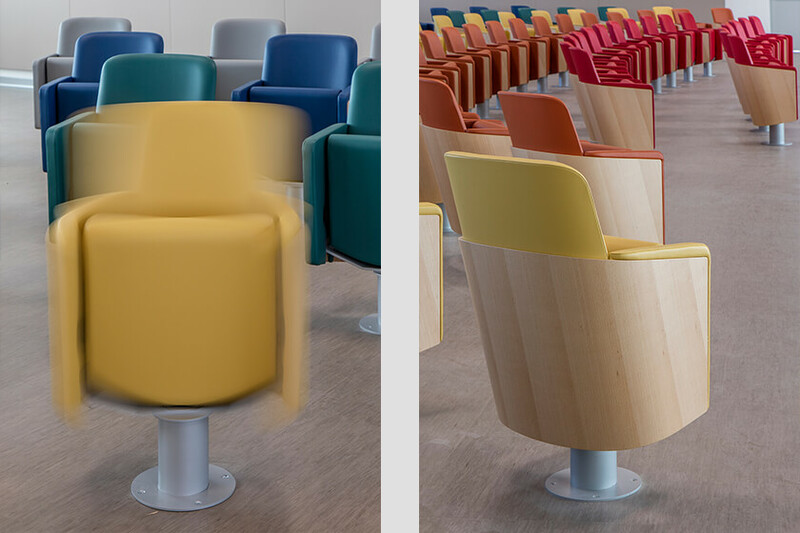 Supplied in several colours according to a specific chromatic choice, the armchairs are equipped with a 360-degree rotation device, which allows the seat automatic return to the starting position. LAMM installation has been completed with many Public chairs and armchairs to furnish different working and study areas.